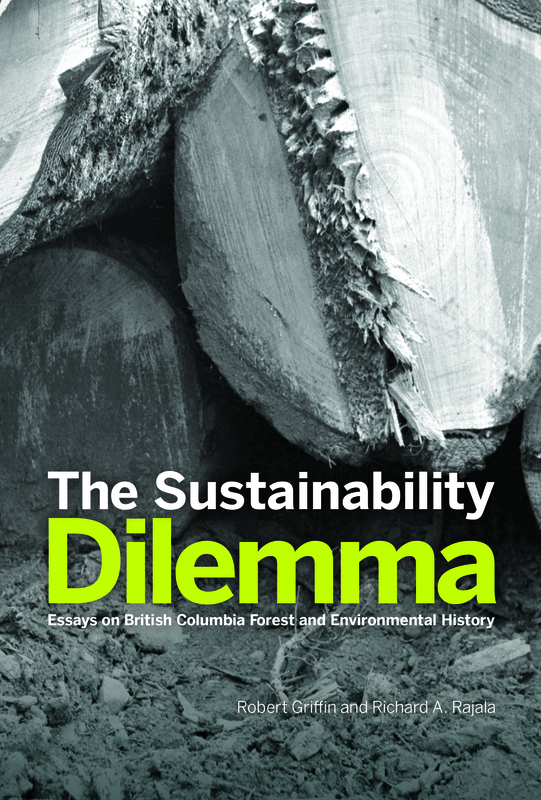 In The Sustainability Dilemma, authors Robert Griffin and Richard A. Rajala delve into two of the more controversial issues British Columbians have faced over the past 60 years—the management of our forest industry and its impact on our freshwater ecosystems. Well-illustrated with black-and-white and colour photographs, this book looks closely at some of the key players and issues of the time—from E.C. Manning, C.D. Orchard and the proposal and implementation of sustained-yield policies in the 1930s and 1940s to Ray Williston, Jim Hart, and two fish-forestry conflicts that captured province-wide attention in the 1960s and 1970s. Dr. Robert Griffin served as history curator at the Royal BC Museum for more than 30 years and wrote many articles on the forest and mining industries. Since his retirement he has co-authored two books for the Royal BC Museum: Feeding the Family: 100 Years of Food and Drink in Victoria (with Nancy Oke; RBCM 2011) and Stewards of the People’s Forests: A Short History of the British Columbia Forest Service (with Lorne Hammond; RBCM 2014). Dr. Richard A. Rajala teaches history at the University of Victoria. His previous publications have won the Forest History Society’s Charles A. Weyerhaeuser, Theodore C. Belgen, and Ralph W. Hidy awards. As a research associate at the Royal BC Museum he provided a comprehensive history of logging from Bella Coola to the Nass River in Up-Coast: Forests and Industry on BC’s North Coast 1870–2005 (RBCM 2006).